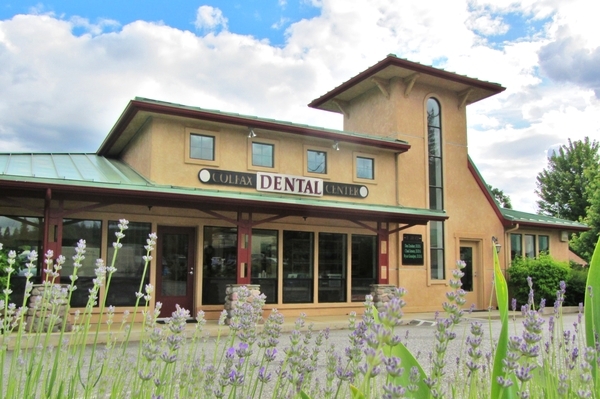 At the Colfax Dental Center, you will find yourself in a relaxed professional setting. Our friendly staff will greet you as you enter and you'll feel at home right away. All of the doctors are knowledgeable, personable, and will provide you with excellent care. They are conservative with the treatment they recommend and will take time to make sure you understand your treatment options. Our goal is to assist you in maintaining your oral health, which is directly linked to your overall health. Not only will we provide excellent treatment for you while you're in the office, but we will also equip you with the knowledge and tools you need to improve your oral care at home. From the moment we answer the phone until the moment you leave the office, our goal is to meet and exceed your expectations. Please call us today! We will assist you in any way we can. We want you to receive the dental care you need and deserve! Colfax, CA family dentist, Dr. Chad Jensen and Dr. Justin Diederichs offer a broad range of family dentistry services for both children and adults. Available treatments include dental cleanings, children’s x-rays, fluoride treatments, sealants, fillings, crowns, root canal treatments, extractions, and more. Contact us today for an appt.